Of all the major platforms and services out there, Nintendo's WiiWare is probably the most under-promoted and under-utilised (PSP mini's aside). Something developers are not happy about. "We feel that Nintendo is not doing enough to promote the service at all," JV Games' Jag Jaege (Pong Toss) tells GI.biz. "We feel that the vast majority of Wii owners have absolutely no idea that they can even connect to the internet." It's a sentiment shared by Nic Watt, of Aussie studio Nnooo! Games (Pop). 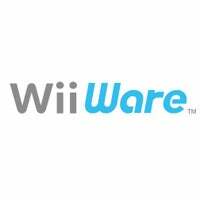 "Nintendo, in my opinion, could do more to keep the WiiWare and DSiWare stores in customer's minds", he says. "It is great that every new customer knows about and uses these services when they first connect their Wiis or DS. However, how many continue to frequent those stores? I think it is and should be Nintendo's responsibility to have a continued marketing presence to maintain people's awareness about the service." You won't get many complaints from me. There's some great stuff on WiiWare, like LostWinds, but so little is done by Nintendo to promote the service - or the Wii's internet connectivity on the whole - that a big chunk of the service's potential audience is unaware it even exists.